A close up of Mezcal Vago’s limited edition Sierra Negra bottle. 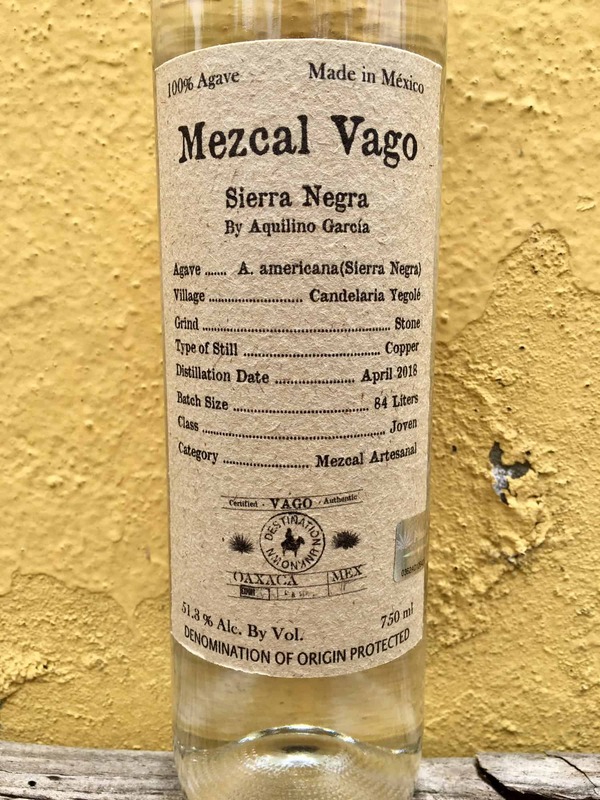 Vago’s latest release, an incredibly small batch of Sierra Negra by Aquilino Garcia Lopez highlights smart and ethical behavior in the mezcal world. Each bottle that Vago releases is accompanied by a blog post that includes a highly detailed tech sheet that delves into everything you’d want to know about the bottle, the agaves and processes that produced it, and the people who made it. Dig into that, spend some time with it, think it over. All that information helps you put the scope of work that brought that bottle to you into perspective. It’s rare to see this detail, especially to see it consistently, and that tells us something: This is difficult work. Doing something like this says a lot about the commitment to product and sustainability. Few producers or brands provide this level of detail even if they have it, even fewer write about it in their blog. Partially I’m sure it’s just due to an extra layer of work. 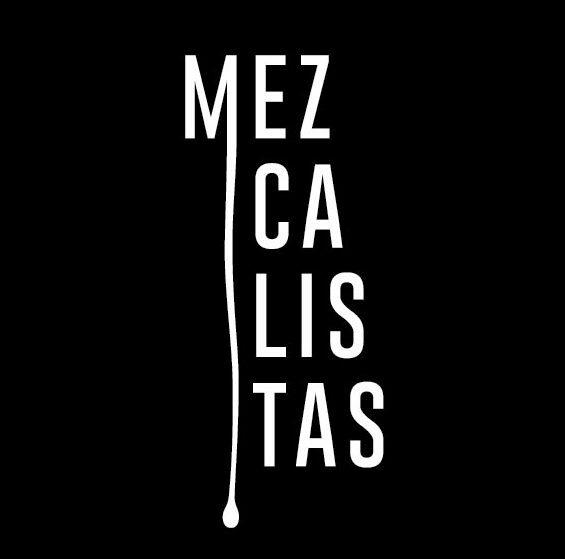 You have to understand that most mezcal companies are very small operations which don’t have a marketing person let alone a real marketing budget; to conceive of an idea like this is one thing, following through another. So, this sort of clarity and consistency should be celebrated exactly because this bottle is so rare. This Sierra Negra also highlights Vago’s limited release strategy. At only 84 liters, this is a super small production run. Vago really has to love what they do and love you, their loyal consumers, in order for them to put in the work that only yields 112 bottles and then get it to you. Thankfully this sort of strategy is becoming more common throughout the industry. Some distillers see it as a great way to experiment, others to take advantage of opportunities that come along. That’s great because mezcal represents a fleeting moment in time. 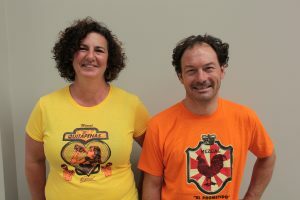 It’s product of a certain vintage which represents seasons of weather and cultivation that will never be repeated.This focus on unique expressions is to be lauded. We need more of this, actually this should be the norm but we are patient, maybe we can bring this market around! Vago’s transparency in production process also says quite a bit about the state of mezcal by what is and isn’t on the front label. Loud and proud you’ll see “Category …… Mezcal Artesanal” which is the new designation from NOM 70 where you have to label your mezcal as “Mezcal,” “Mezcal Artesanal,” or “Mezcal Ancestral.” That’s the new way the CRM is distinguishing between production types with “Mezcal” being pretty much anything including industrial production, “Artesanal” being most traditional craft production, and “Ancestral” being really manually intensive clay pot distilling. You can purchase Vago’s Sierra Negra at Old Town Tequila. 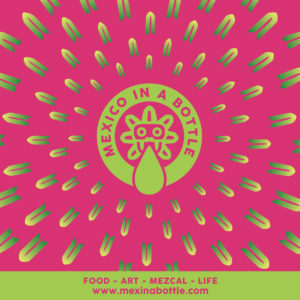 Amazing mezcal.. it has been sold out long before this article was posted.